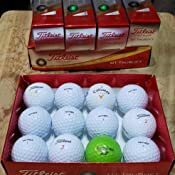 Comment: 12 Titleist DT TruSoft Grade A (Like New) Recycled Golf Balls AAAAA/1st Quality/Grade A (Not in Box) Excellent Condition - The appearance and feel of this golf ball is similar to a new golf ball. 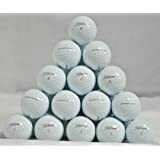 This golf ball will show no or very little wear and will retain the original color and luster. Sold by: Lyons Trading Co. The new, larger low compression TruTouch Core is designed to deliver Low spin for longer distance and truly soft feel on all shots. The new TruFlex Cover utilizes proprietary Titleist technology to provide very soft feel around the green along with increased short game spin for improved performance. 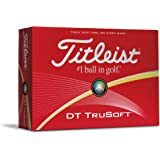 New DT TruSoft golf balls are constructed with advanced aerodynamics meeting strict quality standards to ensure maximum distance with consistent, piercing ball flight. Just played this golf ball and th best golf ball I've ever used. Was using ladies low compression and seemed that I had lost 20+ yards. This ball returned my yardage and has greater control around the green. Great for mid-high handicappers with a decent swing speed. 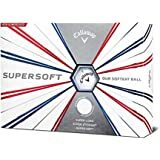 I am a 68 year old senior golfer and I was told to try the Callaway Supersoft ball. 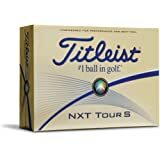 When I did I really liked the feel and I thought the distant was more than I was getting out of my Titleist NXT and the feel was much better. 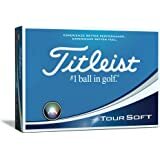 After switching over to the Callaway Supersoft I was happy with it until I found and used a Titleist Trusoft. My first full short iron into the green hit and stopped with spin moving the ball back a couple of feet after touch down. 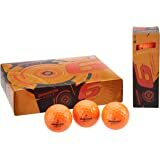 I now have bought a dozen on Amazon for $22 and I have played a few rounds with them. I love this ball. 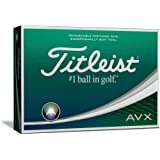 I get about the same distance with this ball as the Supersoft but a think that arounds the green it wins hands down over the Supersoft. 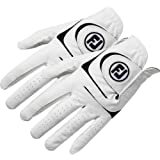 Great feel, try them, you'll like them I'm sure of it. 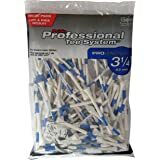 Now that I have used them I am buying another dozen. Great ball for us Seniors. Low compression, hence soft feel, golf balls are easy to find. 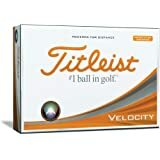 This ball actually delivers the distance claims Titlist makes. 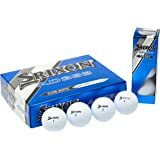 I can only speak for myself, but I've been playing in mid-40d temperatures: the ball has a soft feel without being mushy. 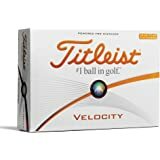 And the design is truly suited to folks with 90 mph swing speeds or less: the ball produces 10-15 more yards for me off the tee than the Titlelist Velocity or ProV1. 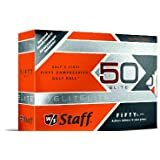 5.0 out of 5 starsMuch longer drives! 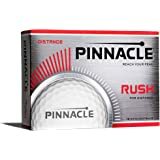 I am in my late 70s and in recent years was never able to hit long drives...........the first time I hit this ball I could not believe the distance.......at least a 20 yard longer drive, and it has been consistent. Love this ball! 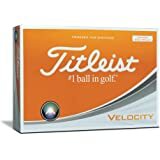 I have a low swing speed and this is a great ball. Great performance around/on green. These balls are great. I like to aim them at my neighbors house. I'm an avid 67 year old golfer in great shape but unfortunately don't hit the ball as far as I use to. 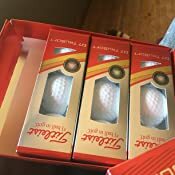 I have tried a lot of different golf balls over the last 10 years to get more distance. 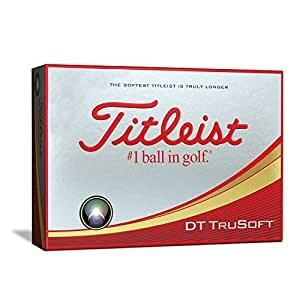 I would recommend the Titleist DT TruSoft golf ball for any older player that has lost distance. These are great. They have a great travel distance and are easy to see.